"During my life, I've spent thousands of hours and thousands of dollars on my hair, my makeup, and my clothes, trying to look prettier because I grew up believing that pretty girls had happier lives." "I'd be a lot happier now if I had that time and that money back." Ilene Beckerman has lived long enough to have finally learned that there's more to happiness than finding the right hairdo and maintaining an ideal weight. This is never more clear than when she's invited to her fiftieth elementary-school reunion. "Of course I'd go to the reunion." Beckerman says. But delight soon turns to dismay: "I wondered who'd be there. How would they look? Would I look as good? What would I wear? Could I lose twenty pounds by June?" Her reunion presents the perfect occasion to illustrate the anxieties and doubts, the dreams and hard-earned triumphs, of women—from Queen Victoria to Britney Spears. 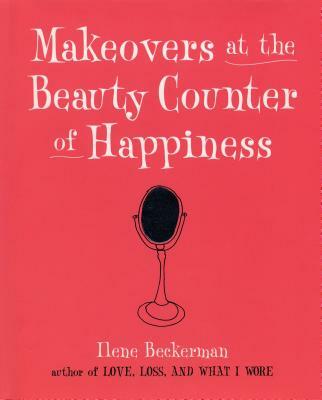 Beckerman knows what really matters in life (besides good hair), and she imparts her wisdom in letters (unsent) to Madonna, Ava Gardner, Sofia Coppola, Meryl Streep, Gwyneth Paltrow, and others, and to her granddaughter Olivia. Frida Kahlo, Cinderella, Whistler's Mother, and Audrey Hepburn make appearances too. In this wise and wonderful book, she shares a lifetime of experience that reminds us that, ultimately, our mothers (and our grandmothers) were right: real beauty comes from within.